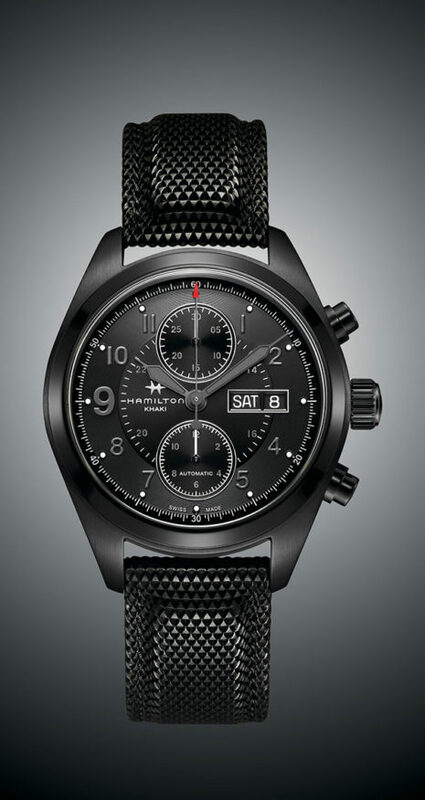 For over six decades, Hamilton watches have appeared in more than 450 Hollywood blockbusters. Their unique designs earn them roles alongside top Hollywood celebrities. Elvis Presley, for example, chose a Hamilton Ventura to star beside him in the film Blue Hawaii. Not too long ago, the Ventura starred with Will Smith and Tommy Lee Jones in the movie Men In Black. But Hamilton watches are not simply movie stars, they also fought beside the US army during the world wars. These soldiers carried the Khaki Field line of watches. In more recent years, the Khaki Field had its fair share of fame on the silver screen. Chris Pine, who played the title role in the movie Jack Ryan: Shadow Recruit, was seen sporting the Hamilton Khaki Field Titanium (H70575733). This year, the Khaki Field squad welcomes three new recruits: the Khaki Field Auto Chronograph, the Khaki Field Day Date, and the Khaki Field Quartz. 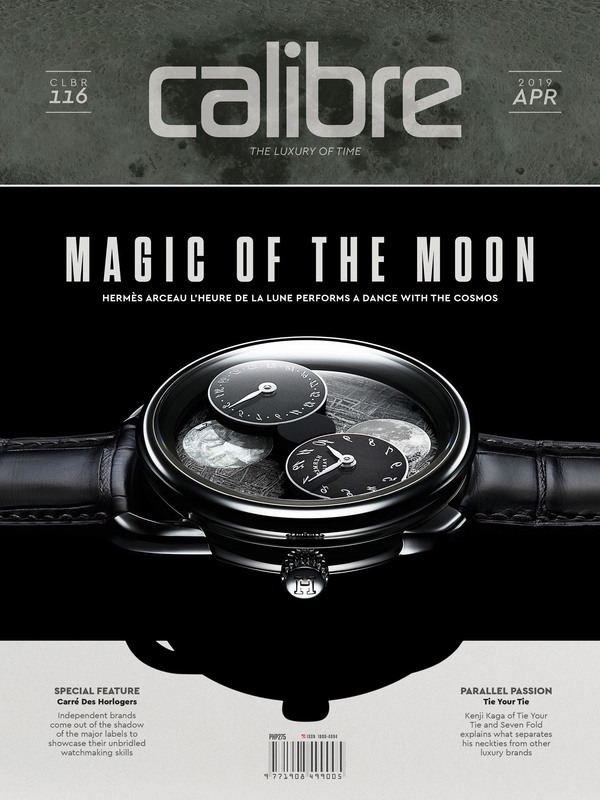 These models all offer applied hour markers, characteristic Khaki Field hands coated with grey Super-Luminova®, as well as a vividly red-tipped seconds hand pointer. 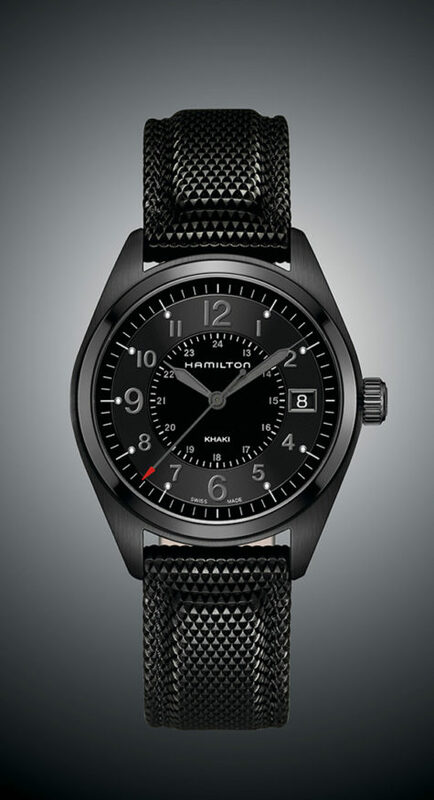 All three versions are enhanced by black PVD coated stainless steel cases and rubber black straps with 3D pattern, and Hamilton signature H-shaped pin buckles. The robust 42 mm Khaki Field Automatic Chronograph is made to withstand pressure up to 100 meters. The chronograph and day/date functions are powered by the H-21 automatic chronograph calibre and has a 60-hour power reserve. 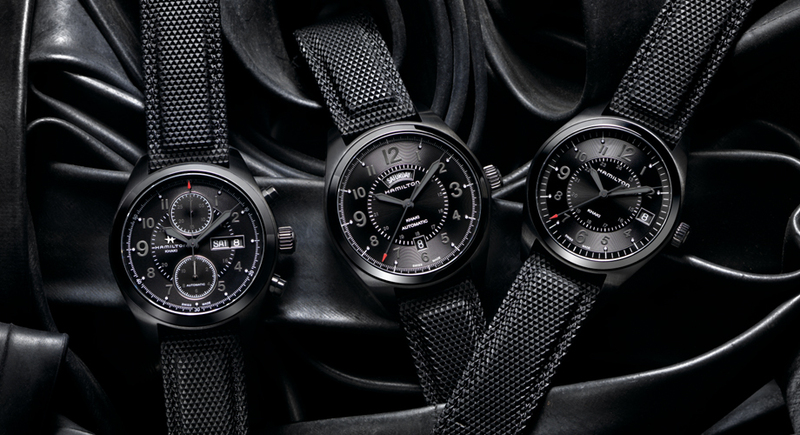 The Hamilton H-30 calibre in the 42 mm Khaki Field Day Date has a longer power reserve of 80 hours and features a day display at 12 o’clock and a date display at 6 o’clock. Last but not least, the Khaki Field Quartz offers a date display at 3 o’clock. Whichever of these three you prefer, these new additions to the Khaki Field line will meet your requirements, whether it be in the office or on your weekend adventure.